Home > Where Can I Get Topsoil In Hampshire? “Where can I get topsoil in Hampshire?” may not be your first thought when you survey your garden, but if you would like a perfectly manicured lawn, then you must consider it. But it isn’t just turf laying where topsoil can come in handy. It can also be used if the soil you have on your property is damaged or in poor condition, or if you would like to turn a patio or courtyard into a garden. Abbey Turf provide excellent topsoil at a time to suit you. Call us today on 02380 812302 to find out more about our services and deliveries. We understand your wish for a lovely garden and would like to help you achieve that. Buying topsoil in Hampshire is the easiest way for you to get great garden soil. Not only that, but a few inches of topsoil is absolutely essential if you are laying new turf, as the grass needs good soil to be able to root properly. Ideally, the depth should be around 6 inches. We can help you calculate how much is required for your specific garden and then deliver it in clean, compact bags exactly where you want it. Topsoil is exactly what it says it is, soil from the top of the ground. 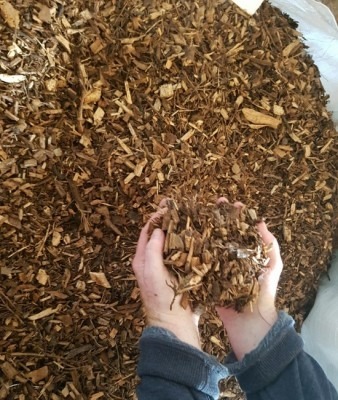 The ingredient that makes it special is the amount of organic matter found within it. This organic matter is mainly decomposed plant matter, but also insects, earthworms and other organisms. The best topsoil Hampshire can deliver is quite a dark colour because of all the compost mixed in. This is also what makes it ideal for fertilising new plants as they get their nutrients from the organic matter, and handily it is easy to dig over as well. Abbey Turf are a family business, and we have had experience in the turf-laying and topsoil arena for over 25 years. You can buy topsoil from many places, but for the sake of your garden, you must make sure that it is of a high quality like ours. Many topsoils can include weed roots or shoots, and these at best will introduce basic weeds that have to be removed. In the worst case, they could introduce invasive plants such as Japanese knotweed. All our Hampshire topsoil is screened so that no weeds remain, and you can use it for seeding or as a base for turf-laying with no other concerns. “Where can I get topsoil in Hampshire?” you may ask. Well, that depends. If you want superior topsoil that will be all you require to upgrade your soil beds or as a base to lay turf, then Abbey Turf can fulfil all your needs. 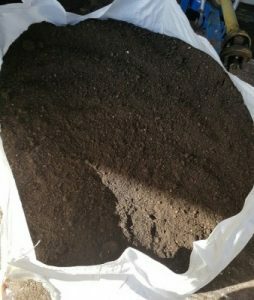 We can deliver the topsoil in large bags, each of which will cover a 30 square yard area if the soil is to be an inch deep. We don’t just dump a pile of topsoil on your property and leave you to it. The fact we deliver in bags means that we can lift them over fences, and there is less mess while you go about transporting the topsoil to where you need it. Our team are always committed to going that extra mile for our customers. Click on our products page for more information. If you still can’t decide whether Abbey Turf should be the supplier for the best topsoil Hampshire can deliver, then we would encourage you to take a look at the gallery section on our website. It will soon become clear that our services and products are the best you can get. Contact us for a quote or a chat to let us know what you need. Whatever sort of Hampshire topsoil you require, Abbey Turf can deliver it for you. You can also give us a ring on 02380 812302 alternatively you can email info@abbeyturf.co.uk We can’t wait to hear from you, as we have the perfect topsoil for you just waiting to be delivered.